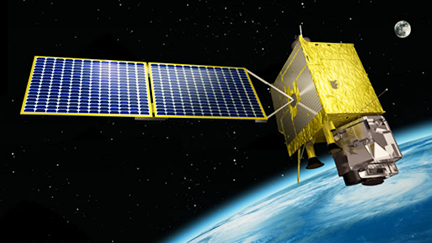 Artistic rendition of South Korea's Chollian-2A satellite. South Korea will launch a stationary meteorological satellite on Wednesday at a French space center in South America, according to KBS World Radio News' infosite. The Ministry of Science and ICT said on Sunday that the meteorological satellite Chollian-2A will be launched from the space center in French Guiana at 5:40 a.m. Wednesday. The ministry said that the preparations, including the assembly of the launch vehicle and fueling of the vehicle, have been completed after about 50 days of work at the space center. Once in orbit, the Chollian-2A will send high-resolution pictures of weather front developments and the earth's surface every ten minutes. The existing weather satellite Cholian-1 will complement the new satellite until 2020.